Your true wilderness! 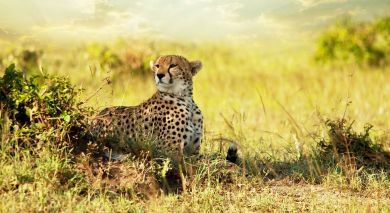 As Tanzania’s largest national park, Ruaha is a wonderful bastion with its undisturbed wildlife, and breathtaking scenery. 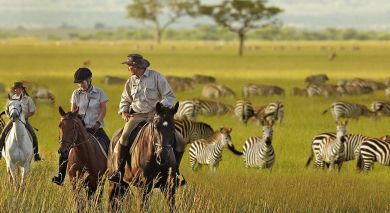 Large herds of elephants, vast concentrations of buffalo, gazelle, and over 400 bird species abound. Due to its remote location, Ruaha National Park is largely unexplored and a safari here often has the feel of a private, rare adventure. 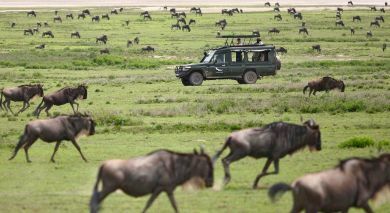 Enjoy unique experiences such as game drives where you are unlikely to encounter any other vehicles. 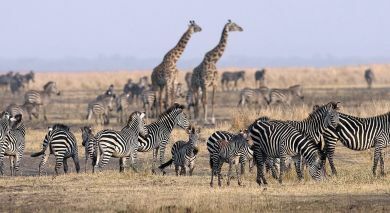 You can also explore the rugged landscapes of Ruaha during beautiful bush walks. Jabali Ridge is Ruaha’s most sophisticated accommodation. Hidden amongst boulders, high on a kopje, looking out over a landscape studded with palm trees and baobabs, Jabali Ridge is almost invisible until you arrive. Jongomero is a luxury safari camp set under shady acacia trees on the banks of the Jongomero Sand River in the remote south-western sector of Ruaha. Kwihala Camp is a luxury mobile tented camp located within Ruaha National Park near the Mwagusi sand river, in southern Tanzania. Mdonya Old River Camp is for people looking for a genuine, off the beaten track, round-the-campfire experience. Ruaha River Lodge has a stunning location overlooking the Great Ruaha River and blends into its natural surroundings which makes visitors feel like being a part of the wild.